I discovered gaming zen for the first time playing the classic arcade shooter R-Type. After much trial and error I realized the futility of trying to look at specific enemies or projectiles crowding the screen. Defocusing my gaze granted a general peripheral view of the chaotic battlefield led to more dead aliens and more fun. 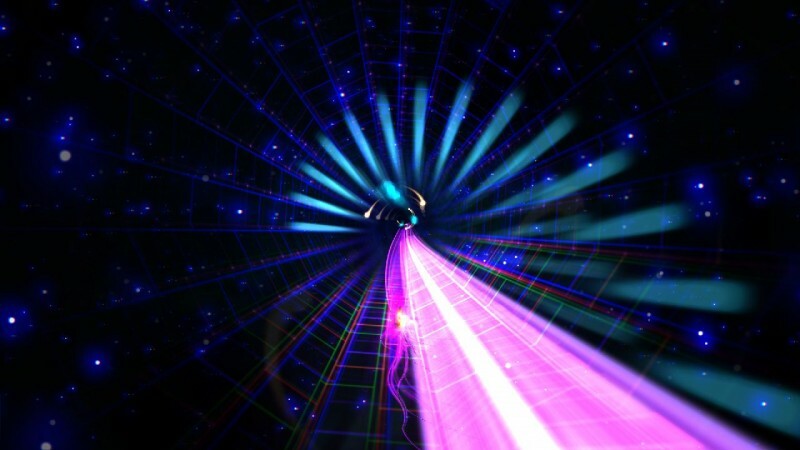 Training myself to enter that state in R-Type took time, but the downloadable rhythm racer Dyad teleports you to a higher plane almost instantly. 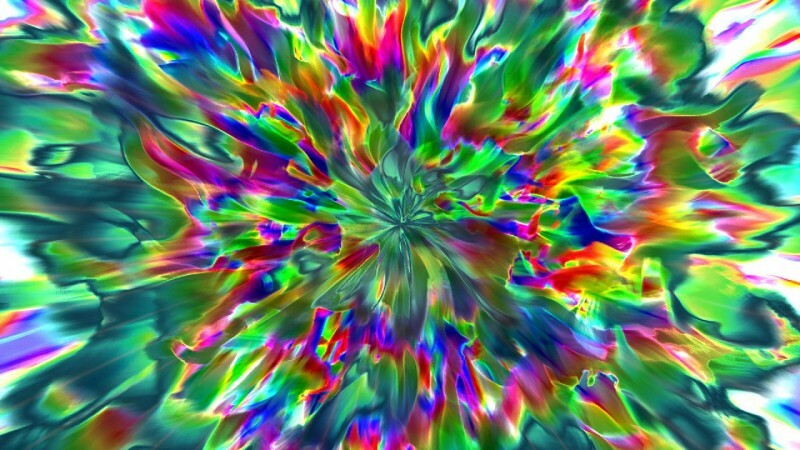 One of the boldest epilepsy warnings I’ve ever seen introduces Dyad, and for good reason. 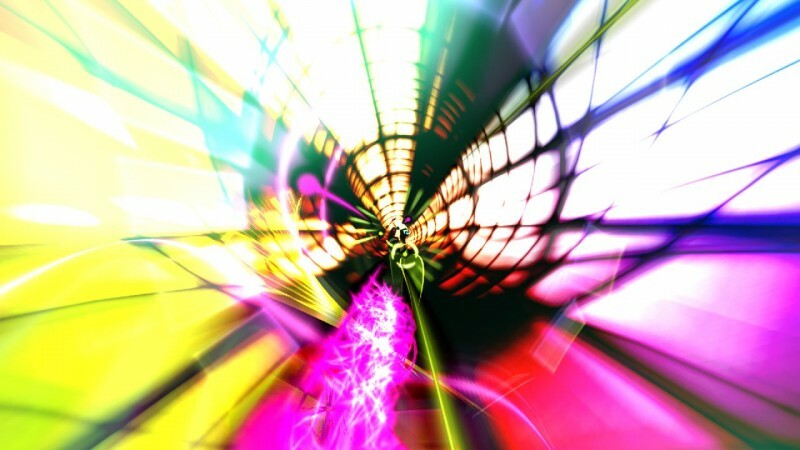 Dyad looks like a high definition audio visualizer. 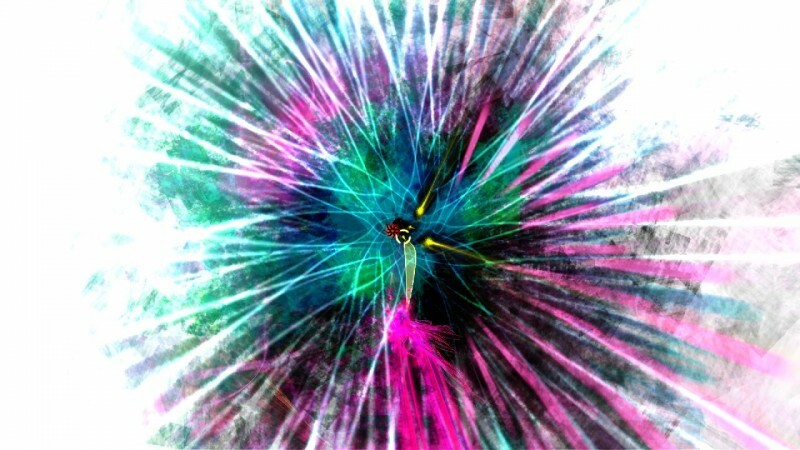 Lines of vibrant neon stretch down an infinite wormhole as the kaleidoscopic background morphs. The action is confusing and chaotic to onlookers, but controlling the high-speed madness is mesmerizing. Blinking is easy to forget amidst the mayhem, which left my eyes sore. 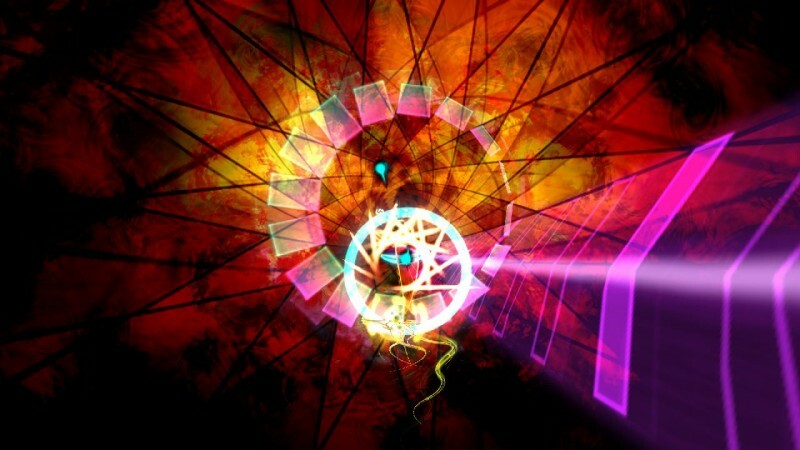 Dyad is a series of increasingly difficult challenges that ease you into a world of electronic trance music and wild visuals. Progressing from the first to final challenge is comparable to gradually moving from a wading pool to the sea in The Perfect Storm. 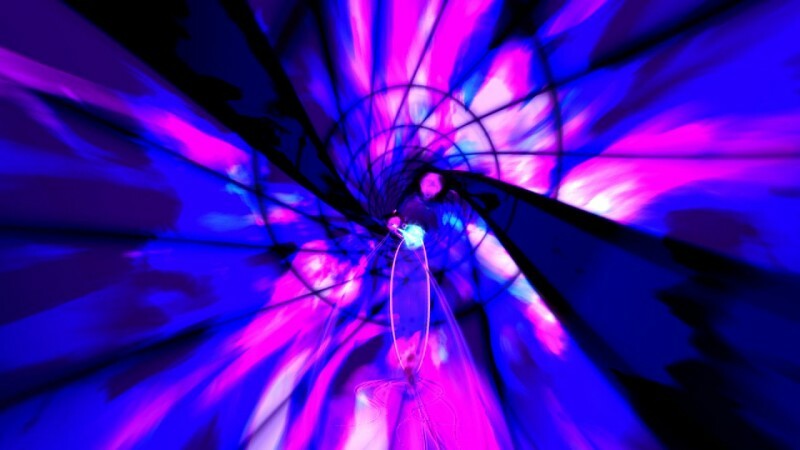 The core concept involves rotating around an endless tube, Tempest-style. Some challenges ask you to complete a segment as fast as possible, while others make you perform tasks (like tethering enemies together or reaching a top speed) a specific number of times. An impressive variety of enemies rush towards you as you fly down the tube, from stationary mines to pesky laser-shooting foes. Shooting pairs of similarly colored enemies creates links that increase your speed. Dodging charging enemies allows you to ride their turbo-boosting wake. Skillfully grazing any of these hazards fills your lance meter, which allows you to blast through enemies and rack up extra lives (useful during challenges with a finite number). 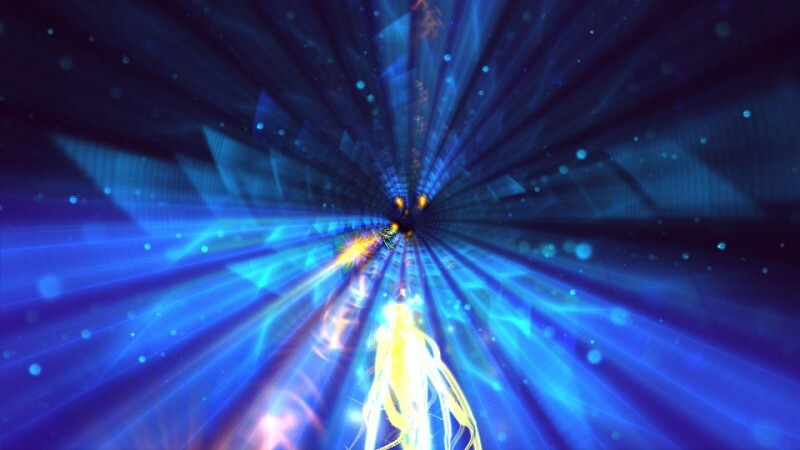 Dyad brilliantly layers on complexity by gradually adding in new enemies to avoid and exploit. By the end, I was amazed by how complicated the onscreen action had become, and how proficiently I processed the hyperactivity. Dyad only supports one player, which is okay because cramming two players into the cluttered frenzy would be insanity. However, leaderboards allow you to compare your high scores and record times with friends. The game only took me about three hours to complete, but the replay factor comes from refining your skills. 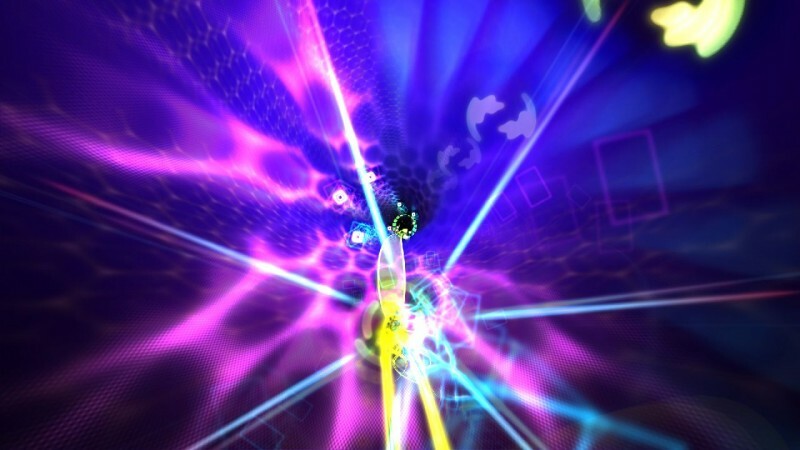 I didn’t feel a strong urge to revisit past challenges, but gamers with a taste for overstimulation and speed-of-light racing will devour extra trophy objectives, like lancing 50 enemies as fast as possible. 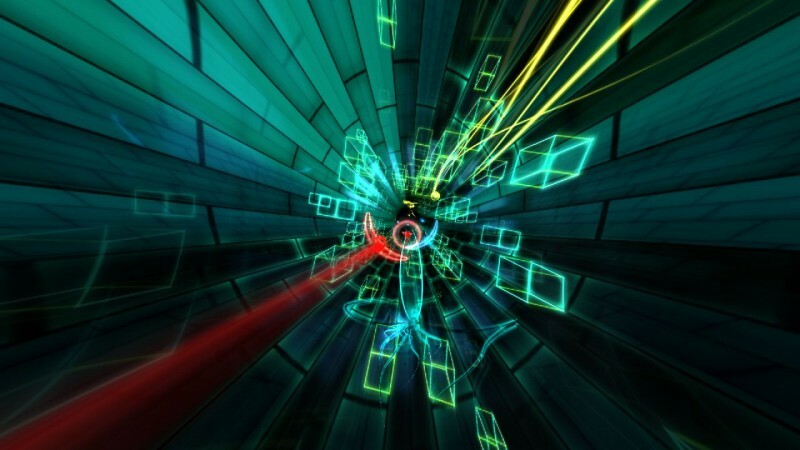 Dyad is not a pure racing game, but sometimes I aimed for speed. It’s not quite a rhythm game, but the steady beat and ethereal enemy sound effects influenced my pace. 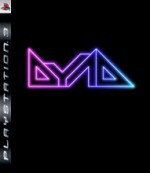 Dyad falls into a genre gray zone that makes it hard to define. Playing for long stretches feels like sensory over-indulgence, which could be good or bad depending on your sensitivity. No matter how busy the onscreen action becomes, Dyad is consistently entertaining and rarely frustrating. 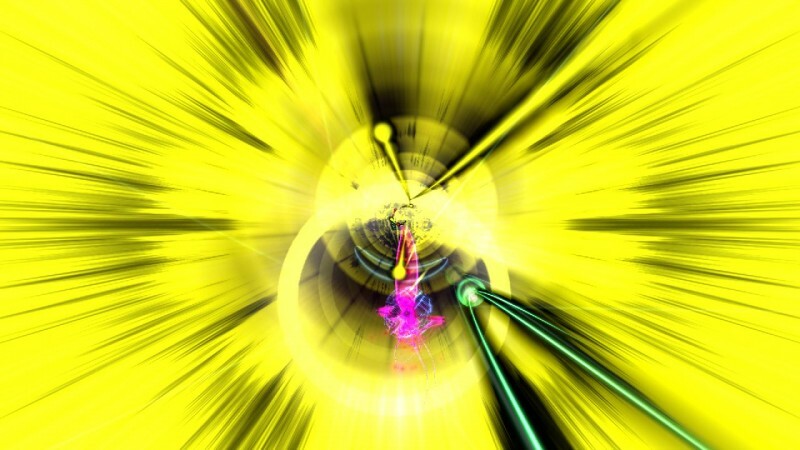 A mesmerizing, blinding-fast exercise in visual and aural immersion.